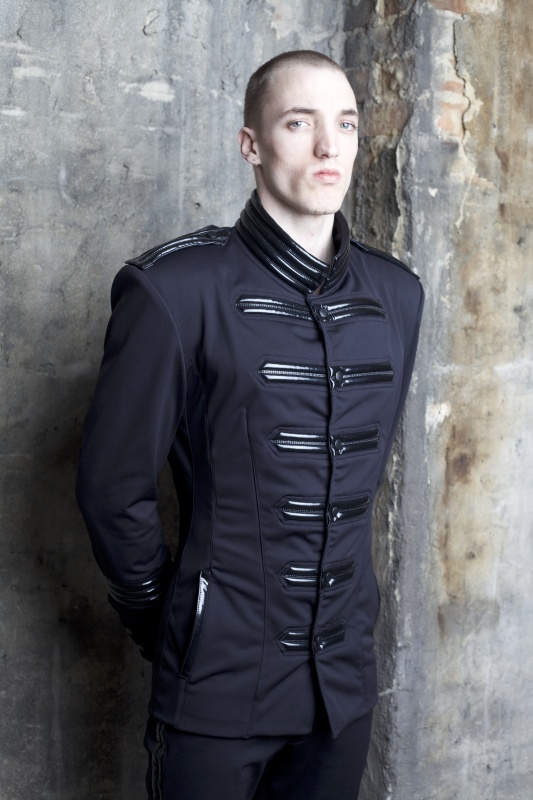 Stand tall in the MILITARY JACKET. 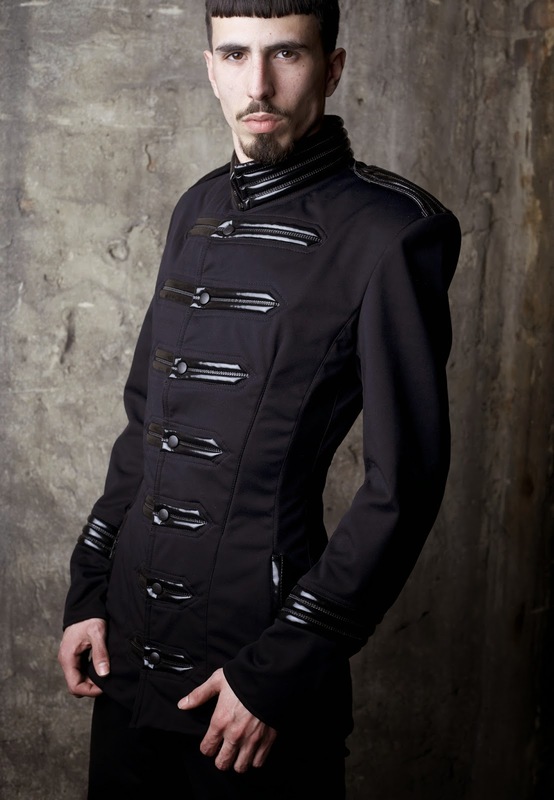 Long sleeved, Military styled jacket with Future Ripp epaulettes, stand-up collar, three stripes on the lower arm and seven stripes of decreasing length down the front highlighting the push button closures. 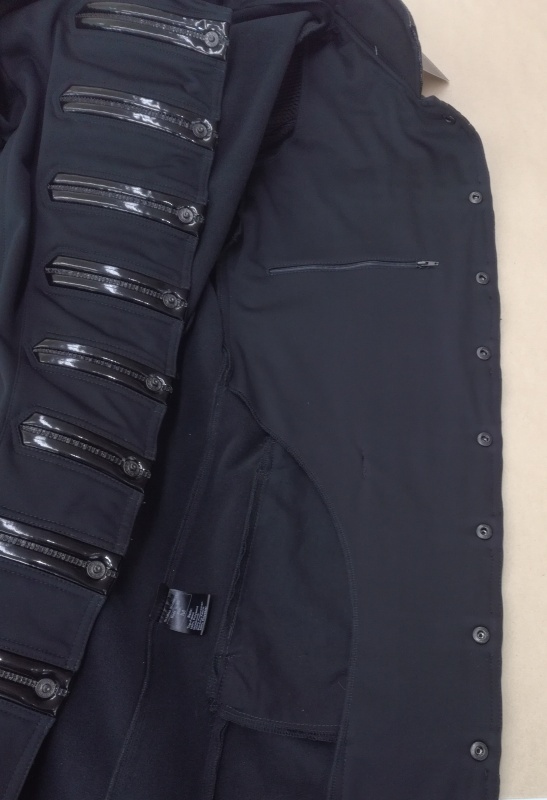 Includes two external side pockets and one internal pocket.